When Canon Financial made the decision to focus on their contact center, they looked to Salesforce Service Cloud to replace their legacy system because it wasn’t designed to do case management or email routing. But the most important feature Canon Financial wanted was a way to have truly blended agents. “Resources needed to be able to dynamically handle channels – phone, email and chat,” said Michael Kea, IT Sr. Manager at Canon Financial. “We wanted managers to have visibility of the channels agents were handling and also be able to control the channels and agents. If phone volume was low but emails were stacked up, we wanted an easy way to move resources in and out of the channel queues. They can do that with AMC’s integration using Salesforce’s Omni-Channel Supervisor.” His group selected AMC as their CTI partner after Kea’s team evaluated competing products, and worked with AMC to integrate Salesforce and Avaya. “With the other solutions, we needed two different tools: one for email and chat and another for the phone. We would have lost the ability to handle all of the channels and blend them. With Omni-Channel Supervisor and AMC’s solution, managers can move agents from phone to email, email to phone, or to both channels. They can flip agents in and out of each channel! This [Omni-Channel Supervisor] is a Salesforce feature that was enhanced by AMC. The two products worked so well it was like 1 + 1 = 3 instead of 2. The agents love it!” shared Kea. 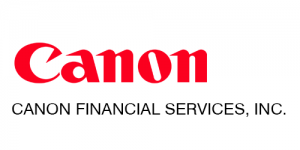 Canon Financial Services, Inc., a wholly-owned subsidiary of Canon USA, has a largely inbound customer service group handling inbound phone calls and emails. Agents also do follow up work and some outbound calling. There is a collections group that is responsible for collecting on accounts and they use outbound dialing to reach out to customers. The omni-channel integration from a feature stand point and the single user interface for all channels were the biggest differentiators because none of the other products had that. AMC stuck with us – they over delivered. Going into the selection process Canon didn’t have a lot of telephony experience in house. They didn’t have CTI with their previous system; but they knew that when agents were in Salesforce interacting with customers they did not want to spend a lot of time looking for the right customer record. “The main reason we selected AMC was their consultative approach. They provided a lot of information about Salesforce, contact center and the industry. Sales didn’t just try to sell the product, they educated us also and explained the different solutions,” continued Kea. “The omni-channel integration from a feature stand point and the single user interface for all channels were the biggest differentiators because none of the other products had that.” Canon relied heavily on AMC’s integration expertise and “AMC stuck with us – they over delivered,” stated Kea. Canon Financial is in the process of preparing their agents to handle chat and are scheduled to roll out later this year. This preparation of agents has proven to be the “special sauce” for success for Canon. The biggest benefit Canon Financial has seen is decreased call handling time because their agents aren’t spending time identifying the caller and looking up the relevant information. AMC searches by automated number identification (ANI) but Canon also receives the call attached data (CAD) to make routing decisions, and to pass CAD to agents. Canon has also reduced the amount of time it takes to disposition the call. Prior to implementing AMC’s solution, agents had to go into a different system to handle this task, but it can now be done in a single user interface. “Out of all of the features, agents like screen pop the best. The user interface is easy and simple. The training was a snap. Agents intuitively picked it up. They like that it’s a one stop shop and they get all their work items in one interface so they don’t have to look in multiple places,” said Kea.